In an Australian study, Harrison and McLeod (2010) determined that there are several risk factors and protective factors for early speech and language impairment, and three factors that can be either risk or protective factors. There are various signs in an infant or young child’s presentation that are regarded as ‘red flags’, or warning signs associated with speech impairment. They are listed below with brief descriptions. Infants start to produce canonical (speech-like) CV and VC strings of babble at around 0;7 and all infants should be producing canonical babble, at least some of the time, before their first birthday. Canonical babbling may go hand-in-hand with all sorts of other perfectly normal baby noises including strange vocalisations, squeals, shrieks, grunts, cries and gurgles. Babble and real speech overlap for months, with the baby producing both. OME between 12-18 months is associated with speech delay. Query this in children with grommets (PE tubes), especially if inserted at 1, 2, 3 yrs of age (Shriberg, Flipsen Jr, Kwiatkowski, & McSweeny, 2003). Glottal replacement, when it is not dialectal, alerts clinicians to the possibility of speech sound disorder. ICD is not attested in English. It does occur in typical development in first language learners of French, Finnish, possibly Hebrew, and a handful of other languages. When it occurs in English, it alerts us to the possibility of moderate and severe SSD. Small repertoires of consonants, and/or vowels may signal moderate and severe SSD (moderate/severe phonological disorder and/or CAS). Six missing consonants (inventory constraints) or six sounds in error, across three manner categories signal severe SSD. e.g. 2 stops, 2 fricatives, 2 glides missing; or, 2 stops, 2 fricatives, 2 glides in error; or, some combination of missing consonants and erred consonants, such as two missing and four in error. Backing of obstruents is a diagnostic marker for speech delay associated with otitis media with effusion (Shriberg, Kent, Karlsson, McSweeny, Nadler, & Brown, 2003). Prevalent or inconsistent vowel errors are a diagnostic marker for CAS. Children with CAS and those with moderate/severe phonological disorder frequently experience difficulties producing vowels (Gibbon, 2015). Vowel errors may occur in as many as 50% of children with these diagnoses (Eisenson & Ogilvie, 1963; Pollock & Berni, 2003). 24-65% typically developing children below 35 months have a high incidence of vowel errors. By 35 months errors are far less prevalent (0-4%). (Pollock & Berni, 2003). Final Consonant Deletion coming up to the 3rd birthday alerts the clinician to the possibility of SSD. Typically, FCD is eliminated by about age 2;10 – 3;3. PCC below 50% when formal reading instruction starts (at about the age of 5;6) is associated with literacy acquisition difficulties. While a PCC can be determined at any age, the descriptors (Mild, Mild-moderate, etc.) can only be applied to children between 4;1 and 8;6 (four years and one month to 8 years and six months). Note that the descriptors refer to SSD and not 'phonological disorder', 'CAS' or 'articulation disorder'. That is, the scale does not apply to specific diagnoses, so a child with a PCC <50% can be said to have a 'severe SSD', but not a 'severe phonological disorder' or 'severe CAS', relative to this scale. The Critical Age Hypothesis is that literacy acquisition is likely to be compromised if children are not intelligible by the age of 5;6 especially if they also have semantic and syntactic difficulties (Bishop & Adams, 1990). Persistent, mild speech production difficulties beyond age 6;9 are associated with literacy acquisition difficulties. (Nathan, et al., 2004). If parents say their child ‘loses words’ it may be significant, but it is not a ‘CAS indicator’/‘SSD indicator’. The 'losing words' phenomenon occurs in early typical development. However, it may indicate language regression due to epilepsy (e.g. Landau-Kleffner syndrome), tumours, etc. Individuals with cognitive impairment are likely to have speech sound errors. The most frequent error-type is likely to be deletion of consonants. Errors are likely to be inconsistent. The pattern of errors is likely to be similar to that of very young children or children with SSD of unknown origin. (Shriberg & Widder, 1990). 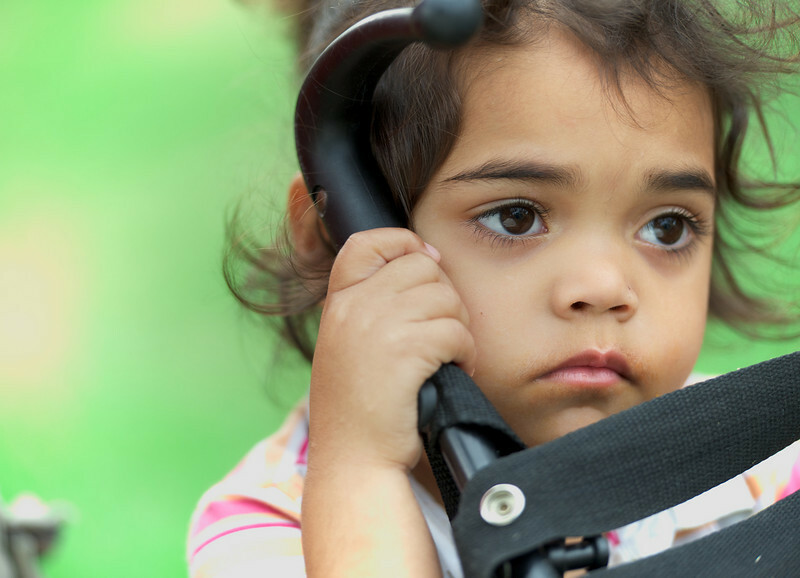 According to Day, Street, Ching, Crow, Martin, Orsini, Cook, Mahler, Hopkins, Chisholm, & Close (2010), children in the LOCHI study with hearing aids or cochlear implants have delayed phonological development compared with hearing peers; use developmental patterns well beyond expected ages of suppression; use the unusual pattern of backing at 3 and 5 years. Phonological processes negatively impact speech intelligibility at age 5. There is a significant effect of hearing loss on phoneme accuracy scores for children with hearing aids at 3 years of age but not at 5. There is no significant effect of the age of first fitting of hearing aids on phoneme accuracy, or the presence of phonological processes at 3 or 5 years of age. Bowen, C. (2015). Children's Speech Sound Disorders (2nd ed.). Oxford, Wiley-Blackwell, pp. 80-81. Day, J., Street, L., Ching, T., Crowe, K., Martin, V., Orsini, J., Cook, C., Mahler, N., Hopkins, T., Chisholm, K., & Close, L. (2010, May). The phonological abilities of hearing impaired children: Interim results from the LOCHI study. Melbourne, Speech Pathology Australia Conference. Eisenson, J. & Ogilvie, M. (1963). Speech correction in the schools. New York: Macmillan. Harrison, L. J. & McLeod, S. (2010). Risk and protective factors associated with speech and language impairment in a nationally representative sample of 4- to 5-year-old children. Journal of Speech, Language, and Hearing Research, 53(2), 508-529. Nathan, L., Stackhouse, J., Goulandris, N. & Snowling, M.J. (2004). The development of early literacy skills among children with speech difficulties: A test of the ‘Critical Age Hypothesis’. Journal of Speech, Language, and Hearing Research, 47(2), 337-391. Pollock, K. E., & Berni, M. C. (2003). Incidence of non-rhotic vowel errors in children: Data from the Memphis Vowel Project. Clinical Linguistics and Phonetics, 17, 393-401. Shriberg, L.D. (1982). Diagnostic assessment of developmental phonological disorders. In M. Crary (Ed.). Phonological intervention, concepts and procedures. San Diego: College-Hill Inc.
Shriberg, L. D., Flipsen, P., Jr., Kwiatkowski, J., & McSweeny, J. L. (2003). A diagnostic marker for speech delay associated with otitis media with effusion: The intelligibility-speech gap. Clinical Linguistics & Phonetics, 17, 507–528. Shriberg, L. D., Kent, R. D., Karlsson, H. B., McSweeny, J. L., Nadler, C.J., & Brown, R. L. (2003). A diagnostic marker for speech delay associated with otitis media with effusion: backing of obstruents. Clinical Linguistics and Phonetics, 17(7), 529 - 547.